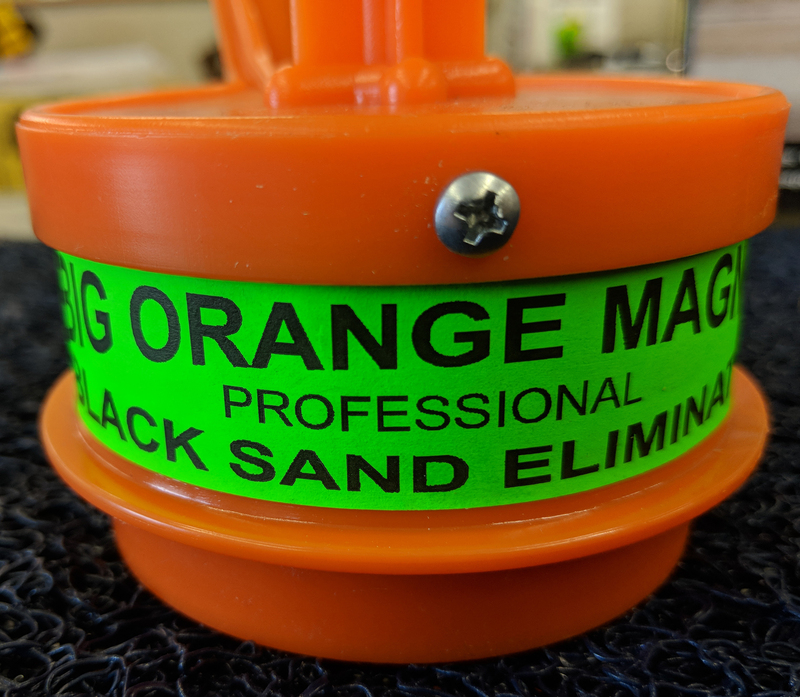 The Big Orange Magnet is the BEST black sand magnet on the market, and is used by professionals worldwide. 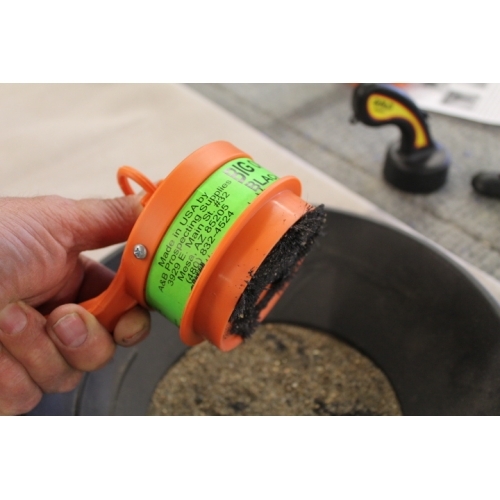 The magnet can be seen being used on Discovery Channels TV shows like Bearing Sea Gold, and Gold Rush. The magnet extracts 10x more magnetic black sand from concentrates without the need of a super strong magnet. With six separate poles on the magnet, used properly, its wont clump gold into one spot. 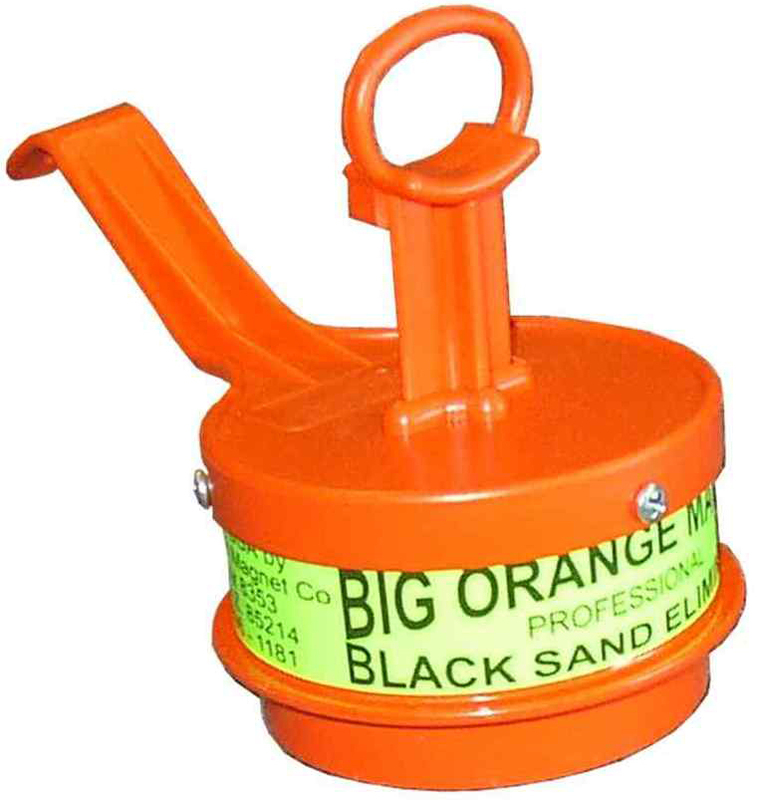 The magnet measures 3.5 inches in Diameter. 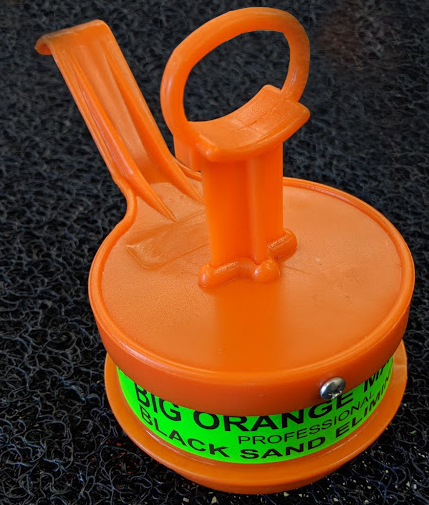 The Big Orange Magnet also features the availability of removing a few screws to clean out any water, or magnetics that might work their way into the magnet. The best way to use any black sand magnet is to fill your gold pan with water. Submerge the magnet into the water, stopping about one half inch above the material. Engaging the magnet will allow the black sands to rise through the water to the bottom of the magnet. 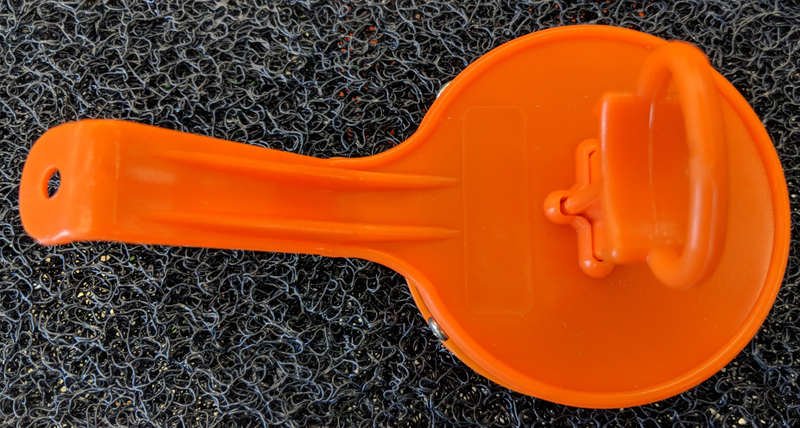 The Big Orange Magnet is easy to clean. All you have to do is disengage the plunger to release the magnetics back into the stream, or another pan.